Lock in a great price for 474 Buenos Aires Hotel – rated 9.1 by recent guests! Very convenient and just right for people traveling on business. The staff is attentive to our needs. Wonderfully helpful staff. Excellent food recommendations. Good directions to sites and activities. Excellent English speaking staffers in a city where English is not commonplace. Excellent staff very attentive and quick. Really recommend the suite. Give it 5 stars. Staff is friendly and professional. Especially night staff. Do not get your room as a joining room. You'll hear everything through the joining door and next door guy can knock on your door middle of the night. Yes, a man knocked on my door at 1am because he could hear my foot steps. I liked everything. The rooms have plenty of space, the bed is enormous and comfortable, they have many pillows, TV, air conditioner, table for those who want to work at the hotel, etc. In the bathroom they also have shampoo, conditioner, towels, soap, hair dryer, everything I needed. There was a bar with many kinds of drinks and also some snacks like peanuts and chips. The staff was amazingly kind opening the hotel door, offering to take our luggage to the room, calling the room to see if we needed room service when we had the "no disturb" sign all day long, really great service. This hotel deserves great evaluation as I've given here. Really recommend! 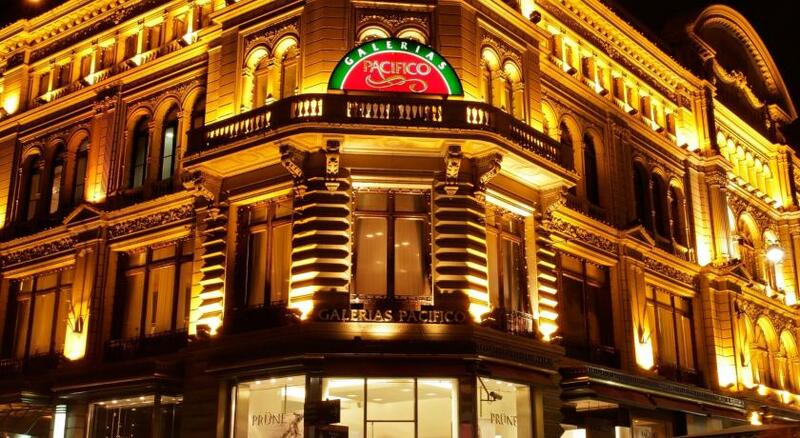 Excellent location in city center, many key attractions, shops and restaurants in walking distance, for example Plaza de Mayo, Puerto Madero, Galeria Pacifico, and many more. Rooms are nice, clean and quiet, especially to the back. WiFi works very well. Staff very friendly. 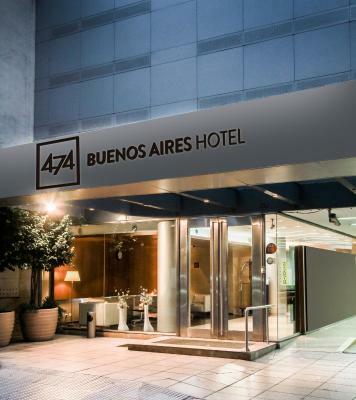 474 Buenos Aires Hotel This rating is a reflection of how the property compares to the industry standard when it comes to price, facilities and services available. It's based on a self-evaluation by the property. Use this rating to help choose your stay! One of our top picks in Buenos Aires.474 Buenos Aires Hotel offers stylish accommodations and free Wi-Fi in the city’s bustling theater and shopping district. 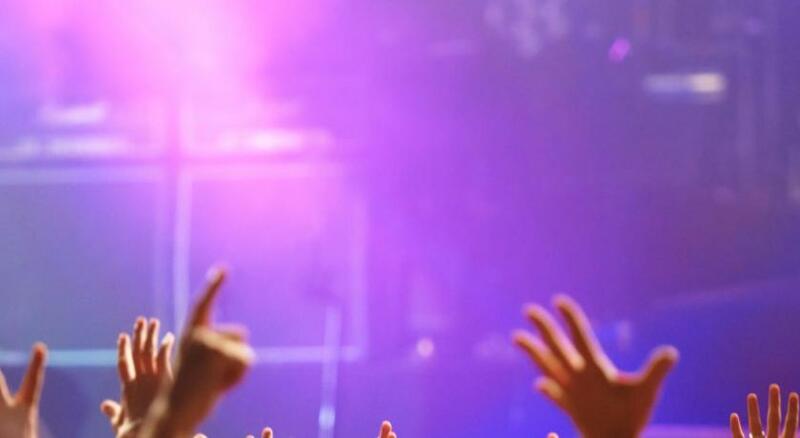 Colón Theater is 8 blocks away and Florida Street is 350 feet from the hotel. 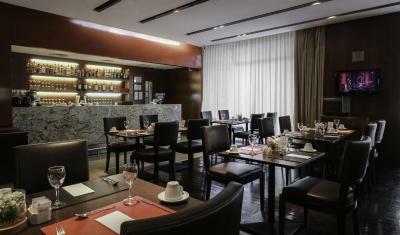 The property is a 4-star hotel with elegant design furniture touches, polished wood and accent spotlights. Some rooms offer a private balcony and a living room area. The restaurant offers a buffet breakfast prepared with fresh local produce. 474 Buenos Aires Hotel is 3.7 mi from Jorge Newbery Airport and offers both an airport shuttle and car rental services. Private parking is available for an extra fee and there is 24-hour front desk assistance and a currency exchange service. 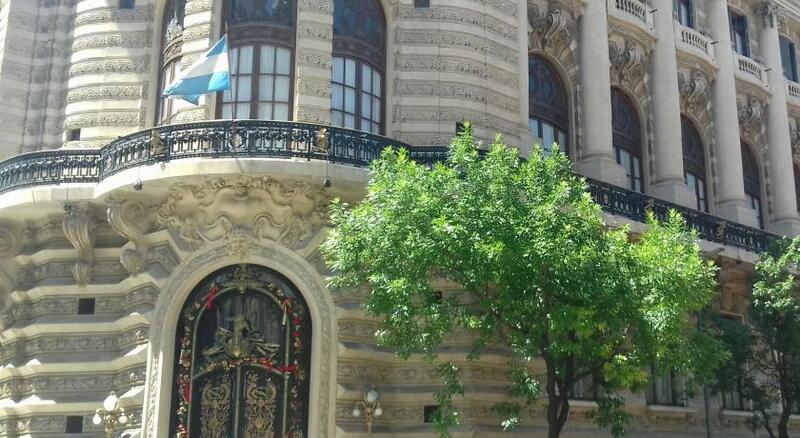 When would you like to stay at 474 Buenos Aires Hotel? Large suite featuring a private balcony, lounge area and bathroom with a bathtub. This double room features a 32" LCD TV, individually controlled air conditioning and heating, a safety deposit box and a mini-bar. It includes a complete bathroom with a shower, a hairdryer and a selection of TRYP toiletries. This twin room features a 32" LCD TV, individually controlled air conditioning and heating, a safety deposit box and a mini-bar. It includes a complete bathroom with a shower, a hairdryer and a selection of TRYP toiletries. The Tryp Buenos Aires is located in the centre of Buenos Aires, in the heart of the City Porteña and is very near calle Florida, Puerto Madero, the Obelisco and Avenida Corrientes. This hotel in Argentina provides modern, contemporary rooms; a rich, fresh and energising breakfast buffet; free high speed Wi-Fi internet and two meeting rooms. All these hotels in Argentina are ideal for discovering and exploring the country's capital with your partner, family or friends, thanks to their excellent locations in the centre of the city, their complete and comfortable facilities and the quality of their services. They are also perfect for business guests as their facilities are equipped with the latest technology and have the most modern audio-visual equipment. House Rules 474 Buenos Aires Hotel takes special requests – add in the next step! 474 Buenos Aires Hotel accepts these cards and reserves the right to temporarily hold an amount prior to arrival. Upon check-in, guest will be required to show the credit card used to make the reservation. Please note that if guests that have acquired nonrefundable rates do not respect their established check-in date, the room will be held only until 12:00 of the following day, with no possibility of refund. If an invoice type A is needed, please notify the property upon making the reservation. Please inform 474 Buenos Aires Hotel of your expected arrival time in advance. You can use the Special Requests box when booking, or contact the property directly using the contact details in your confirmation. It’s a small business-type hotel with the most delightful staff, who at every interaction did just a little bit extra. Our room was smart and comfortable, especially the bed. Breakfast stopped at 10:30. Charges for water in bedroom and coffee capsules. Comfy bed. Great shower. Nice quiet room on a city center street with no heavy traffic. reception very friendly and could talk English which was very nice. Missing: a tea making kettle (they have espresso machine). also: no English speaking channels on TV. But these are minor discomforts compared to the very positive experience of this hotel. Excellent staff, location, facilities (we stayed at the suite), breakfast. The staff was super helpful!!! Lots of space in the beautiful room. There was a real desk at which ons could work or write. Nice bathroom and shower, the airco worked fine but a liitle slow. The public spaces are designed with good taste. The buffet breakfast was of high quality. I would say this is a 4* hotel. Compared to European standards it is really inexpensive. In the middle of Microcentro. Bedding and room temperature control were a challenge. Extremely nice and helpful staff at the front desk. 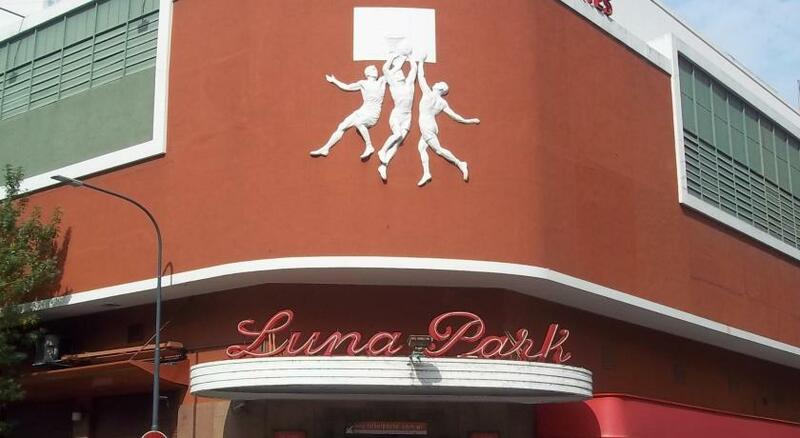 Good location, very close to the Florida Street (shopping centre) and pretty close to Puerto Madero (restaurants/bars). Good breakfast. I don't have any complaints as it met my expectations. Nice condition, large rooms, and right in the city centre.